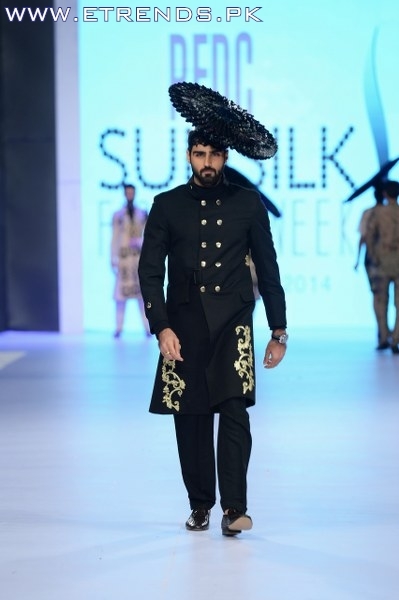 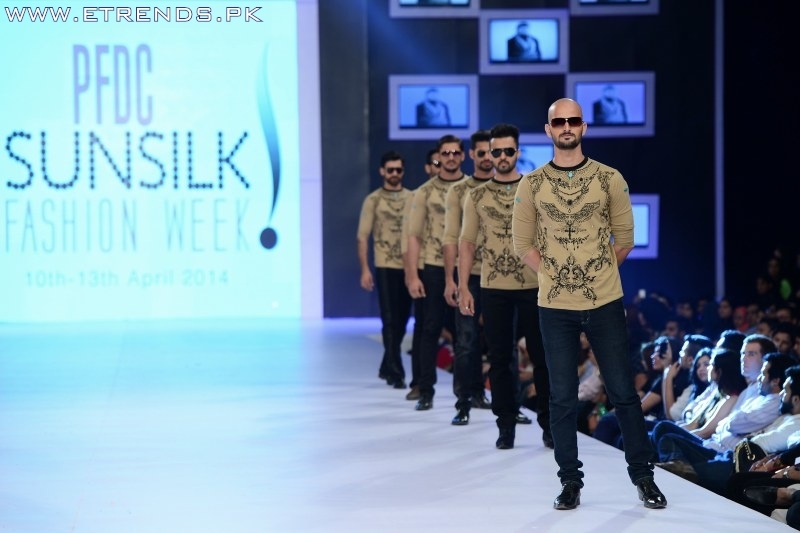 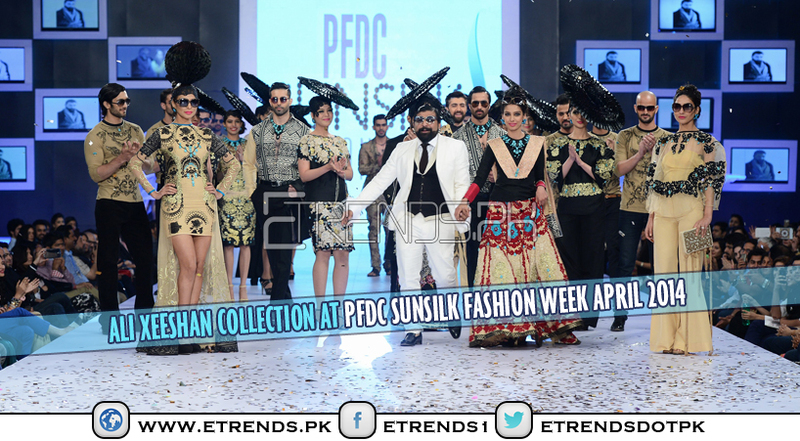 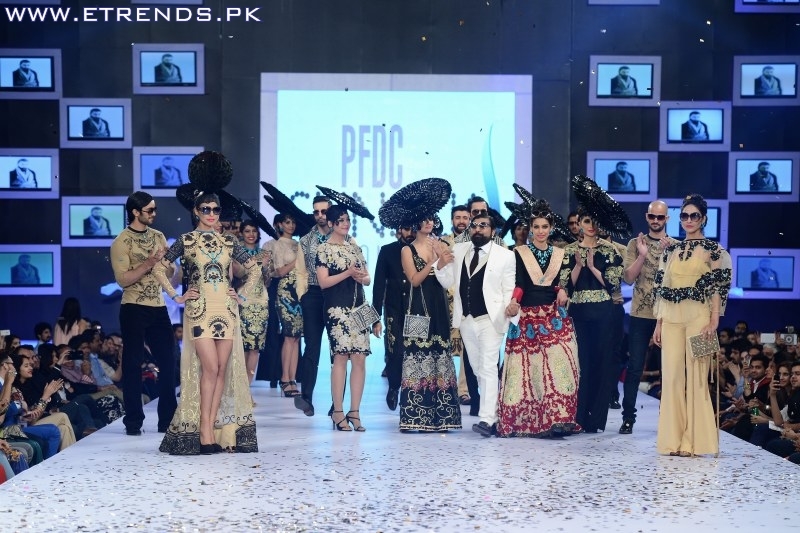 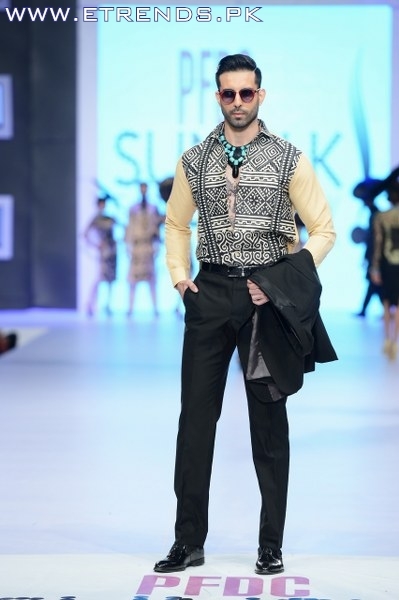 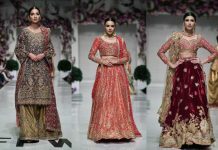 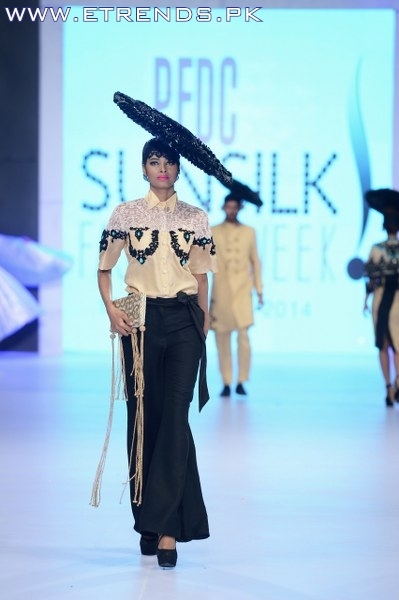 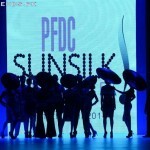 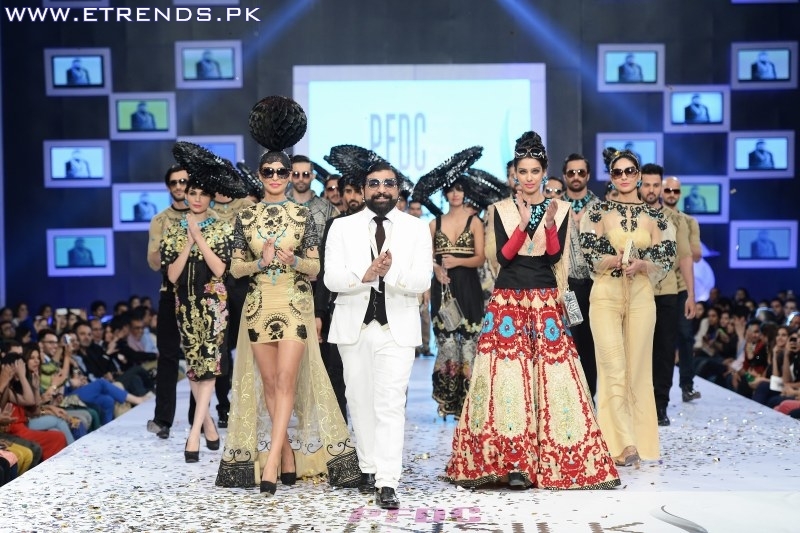 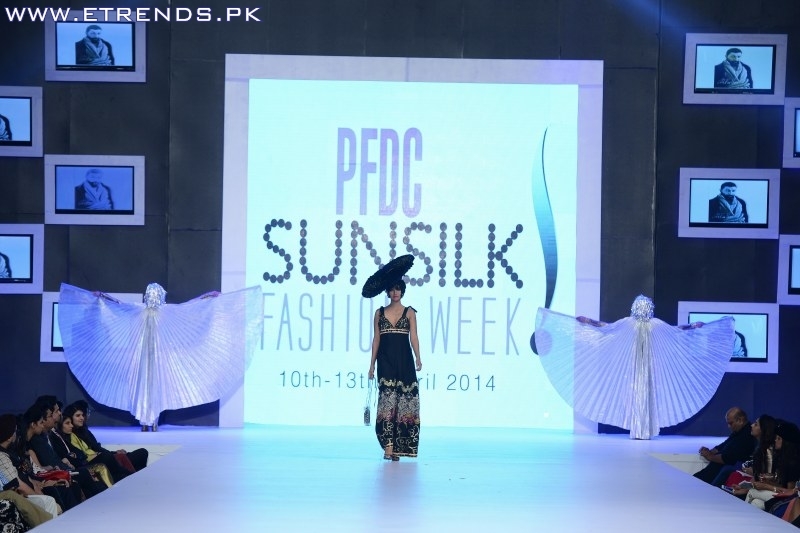 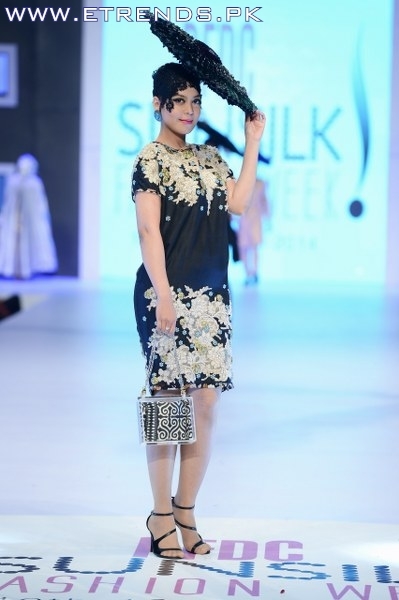 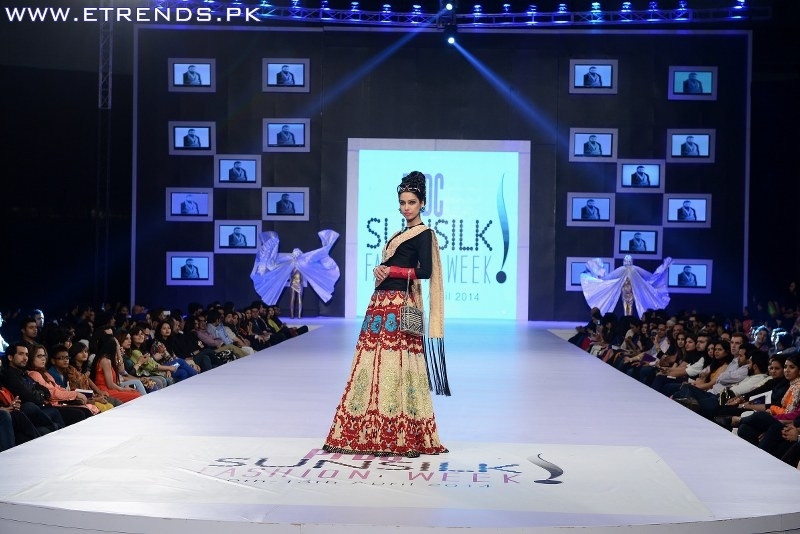 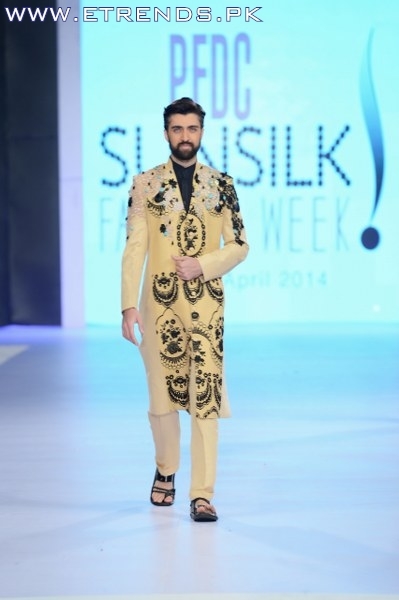 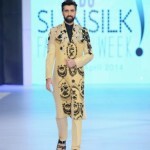 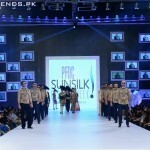 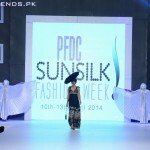 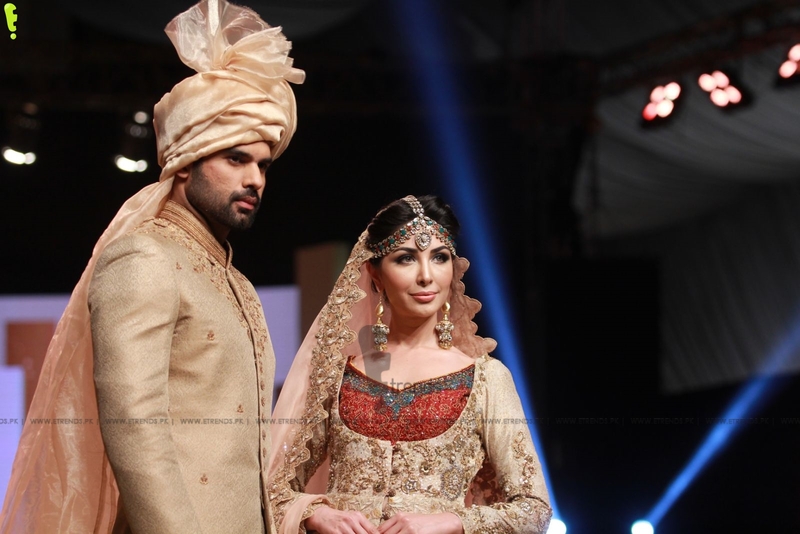 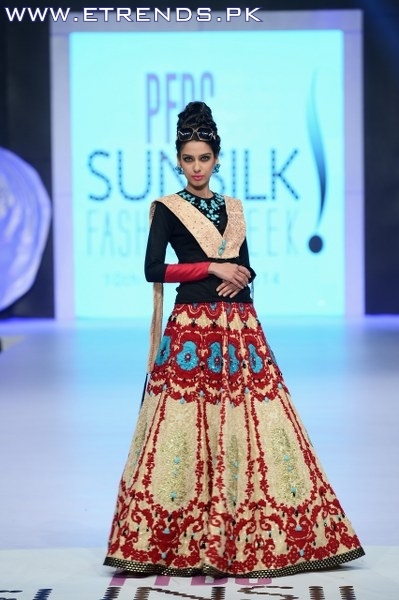 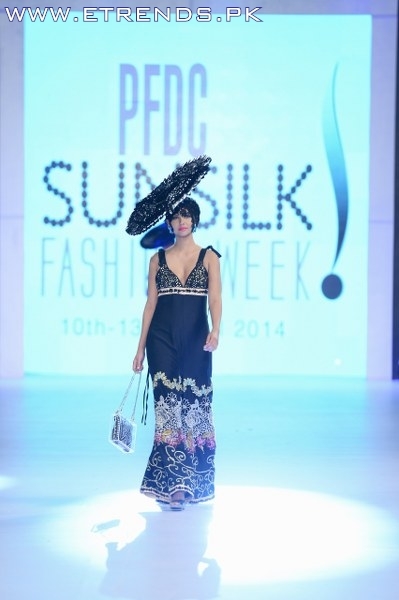 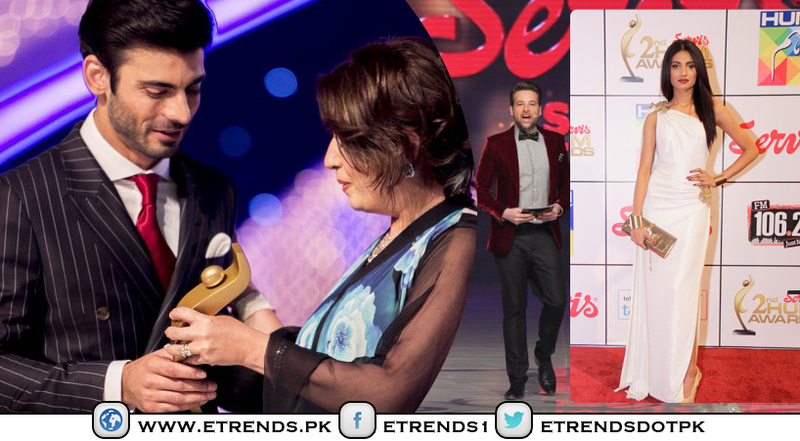 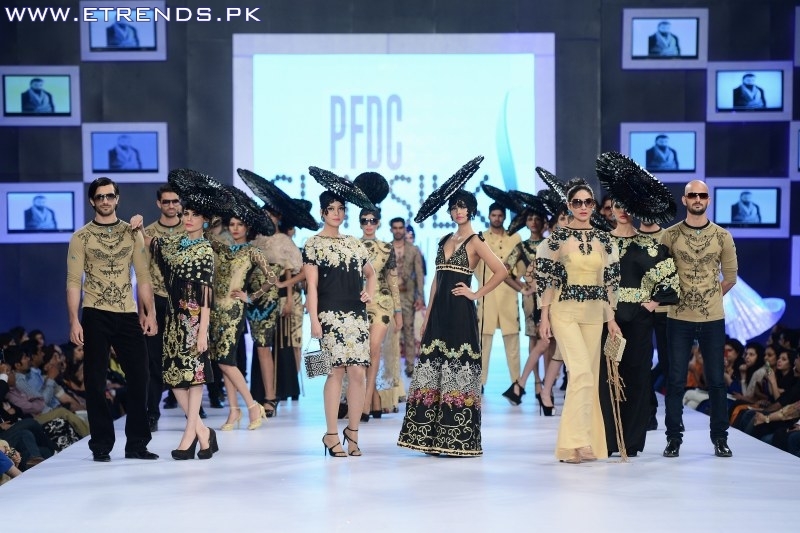 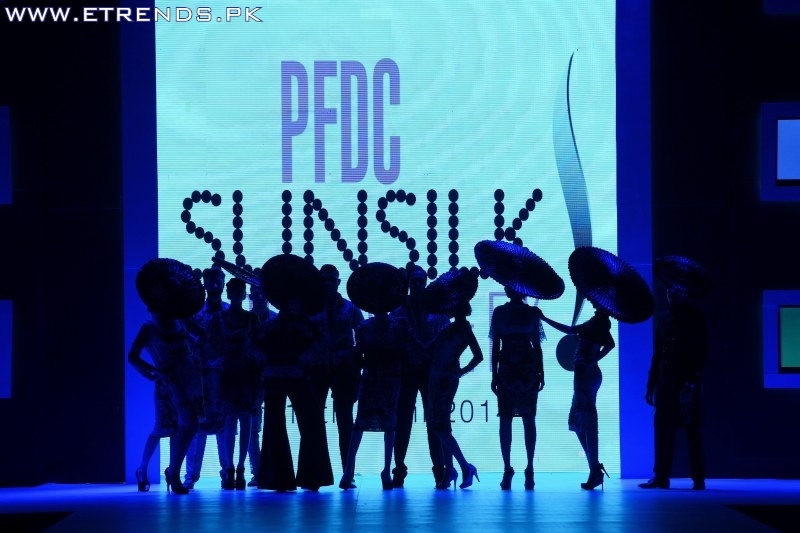 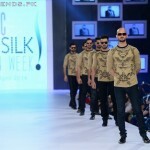 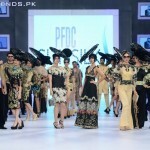 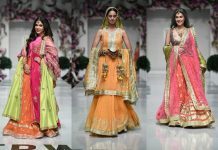 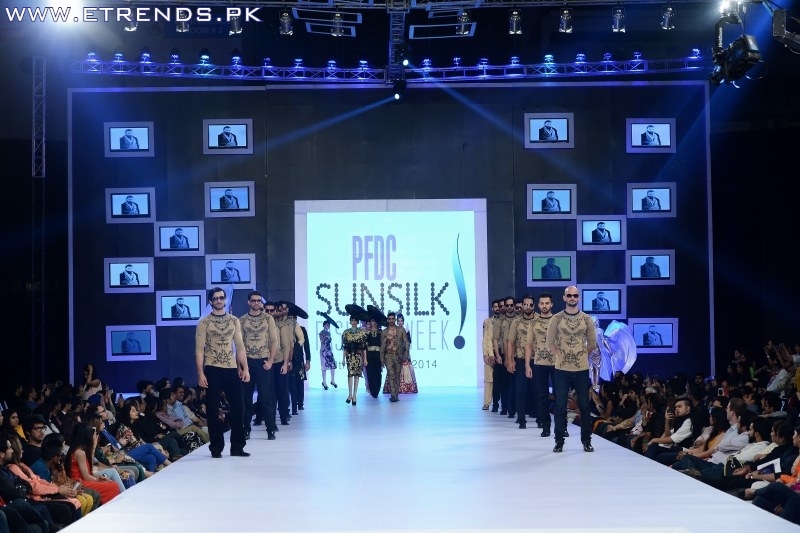 PFDC Sunsilk Fashion Week Day-1’s finale was presented by acclaimed designer label Ali Xeeshan Theater Studio who showcased their Spring / Summer 2014 collection titled ‘Trouble’ at PFDC Sunsilk Fashion Week 2014. 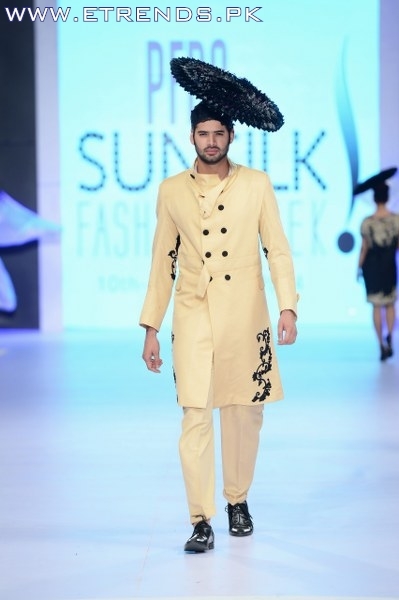 Inspired by the charm and magic of the Silver Screen, particularly the casts and characters of the typical Old School 60’s and 70’s cinema, the collection flirted with the dreamlike process of filmmaking and provided an escape from the real world. 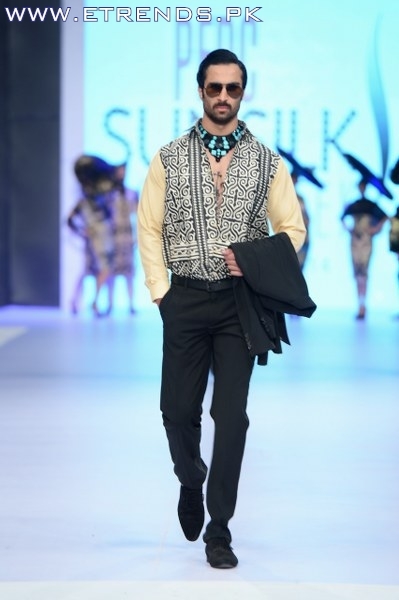 ‘Trouble’ featured both menswear and women’s wear in body fitting, unstructured, fluid cuts in straight lines embellished with high quality Persian feroza and black diamonds with oxidized ribbon in gold leafing. 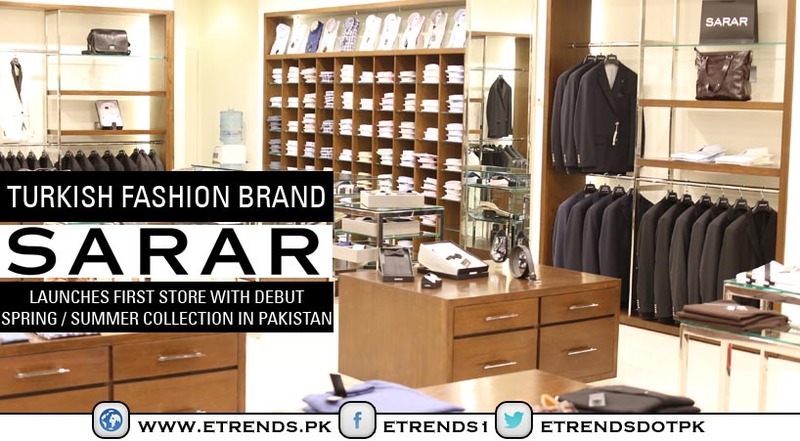 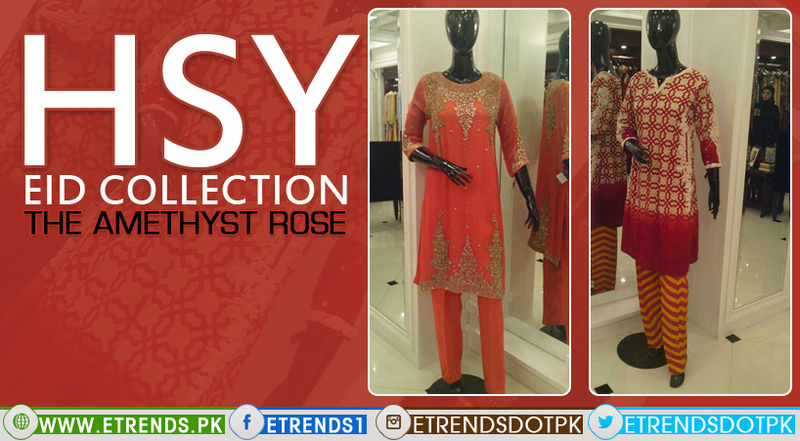 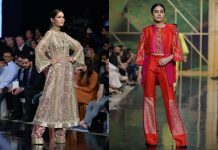 The collection was based in organic and hand woven raw silk tailored in sheer net and featured lace trimmed blouses, loon pants and the always trendy wide legged flares, with tapering sleeves and ruffled narrow frames around the waist. 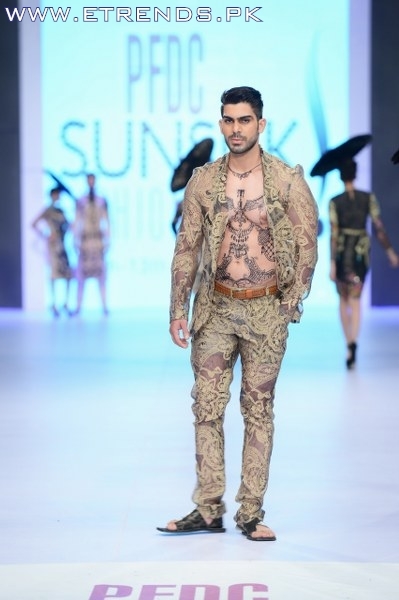 The collection featured a diverse colour palette featuring gold, black, sepia, and torques with a dash of tropical red.